Watching a big match with a vested interest in the outcome gives you a real and personal reason to cheer for one team or the other. Sure, it’s fun to cheer on your favorite teams as a fan, but it’s even better to put money on the line and literally have a stake on the outcome. The highs are higher and the lows are lower, and it all makes for a more absorbing and entertaining experience. Even better: sports wagers don’t inherently stack the odds against you. If you develop the skill to spot mispriced lines, nothing stops you from actually turning a profit. It’s easier said than done of course, but there are plenty of examples of people who make a living betting on sports online. Even if you never turn into a pro (let’s face it – most of us won’t), it’s still comforting to know that the odds aren’t stacked against you like in traditional casino games. 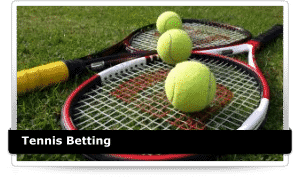 The journey begins with choosing among the many sports betting sites out there and settling with one or two that will provide you with a safe and fair experience. There’s much to consider in choosing a site so let’s get started now. 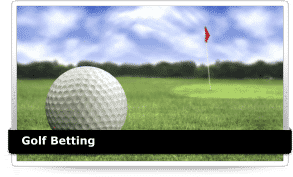 All of us here at OnlineBettingSites.com put our heads together to compile lists of the best betting sites for each sport. This was a major project that required drawing on the experiences of experienced sports gamblers. It was a time-consuming project, but we’re proud to present you with an in-depth guide to choosing the best online bookmakers by sport. You’ve already seen our top picks for the best sports betting sites overall. We stand by these picks but also understand that many punters have specific wants and needs. To that end, we have a large collection of online bookmaker reviews that are unbiased and straightforward in nature. We take a deliberate approach in structuring our betting site reviews to discuss specific aspects that impact the customer experience. These include going over each site’s long term reputation, its licensing status, its customer support options, the generosity of its odds, deposit methods, payout speeds, bonuses and other gaming options. 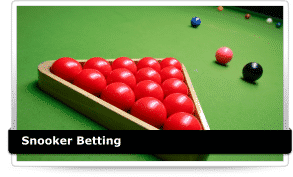 Most sports betting sites advertise a welcome offer inviting you to sign up and play. 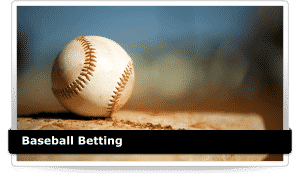 Sports betting bonuses are usually a good deal and provide added value that you wouldn’t otherwise see at a traditional brick-and-mortar bookmaker. First Deposit Match Bonuses: The first deposit match bonus is designed to entice new customers to make their first deposit. The amount of your deposit determines how much bonus money you get. For example, a 100% match bonus means you will receive £1 in bonus funds for every £1 you deposit. 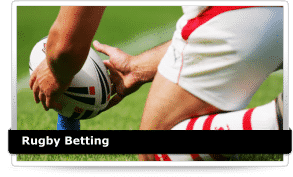 Free Bets: Free bet tokens can be used to place a real money wager on any sporting event you choose with no risk to you. If your free bet wins, the winnings are yours to keep. If your free bet loses, nothing is deducted from your real money balance. Cash Back / Risk Free Wagers: These are similar to free bets except you place the bet with your own money first. If your bet loses, the bookmaker refunds an equal amount to your account. If your bet wins, the winnings are credited to your account normally. Reduced Juice: Reduced juice rewards lower the amount of commission the bookmaker takes on all bets of a certain type. For example, the common 10/11 line that is applied to wagers with no clear favourite is reduced to 20/21 under a reduced juice program. The end result is you pay less commission on your wagers. This promotion is usually confusing for newbies and is therefore very rare. Regular sports bettors should definitely take advantage of any loyalty schemes or promotions offered by online sports betting sites. These are designed to reward loyal customers for continuing to play and can be a great way to boost your bankroll. Rewards can vary from free plays, bonuses in your account or even tickets to major sporting events. Generally speaking, the more you wager online the more you benefit from sports betting rewards programs. Spend a little time looking at the loyalty schemes of the different online sports betting sites to find out where you can best be rewarded for your business. We have an entirely new industry springing up in the US and slowly making inroads in other parts of the world. Daily fantasy sports sites allow you to participate in short-term leagues for real money. In daily fantasy, you’re given a fixed salary from which you draft a roster of players expected to participate in a series of upcoming matches. In short, the team that you draft competes against other fantasy teams drafted by other people. Each team accumulates points for the league based on the performances of their players in the real world. Whoever’s team has the most points at the end of the league wins a real money payout. The term “daily” refers to the fact that many of these leagues only last for a day (or a weekend in the case of the NFL). You’re not stuck with the same team all season long and can get paid that same day if your team accumulates enough points to win the contest. Contests can be hosted as small heads-up affairs between you and a single opponent or as large tournaments with million-dollar payouts. Betting exchanges provide a unique and potentially lucrative twist on the traditional sports betting model. 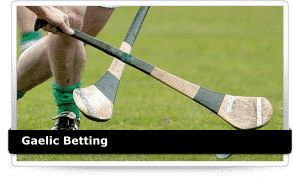 Exchanges act more like the stock market than a regular bookmaker in that exchanges match customers who want to back opposite sides of any particular wager. Rather than betting against the bookmaker, you bet against other customers who take the opposite view. For example, you can back a selection to lose and then be matched with another customer who is backing that selection to win. Customers are able to set their own odds and then other users can decide if they wish to take those odds or not. The end result is a free market solution for online sports betting. In certain cases, exchanges offer better value for your bets than traditional bookmakers. In-play betting offers yet another twist on traditional sports betting. In this case, you are able to place bets after an event has already started. As a football match progresses, for example, you can place additional wagers on the outcome of the event at updated odds. 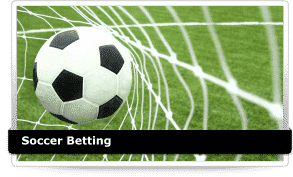 Or, you can even bet on short-term events such as who will score the next goal or what the outcome of the next penalty kick will be. Thus, you can watch a match in real time and place bets as events unfold before your eyes. The oddsmakers in the background follow the match as well and offer a constantly-updated list of bets based on what’s happening right now. We have a massive country-by-country discussion of gambling laws around the world published here. 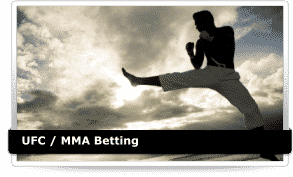 Visit that page to read in-depth analyses of legal sports betting in most countries. Sports betting is highly restricted in the USA. 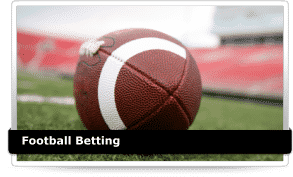 The activity is only expressly legal in a few locations, with Nevada being the only state with full-fledged sportsbooks. 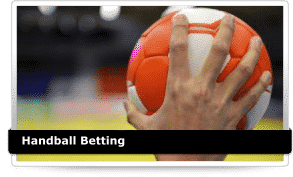 Online sports betting is regulated by the UIGEA and Wire Act, which are both pieces of legislation that place tight restrictions on using the internet to process betting information. 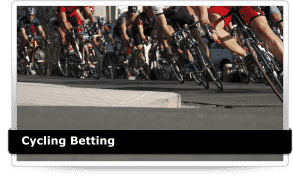 The good news is that according to most lawmakers’ interpretations of US sports betting law, it is not a crime to place wagers as a mere customer. People don’t go to jail or even get harassed for betting on sports over the internet. However, it is clearly illegal to operate your own sportsbook or betting site as an owner/manager/employee. Some state laws appear to criminalize the activity, but those are sporadically enforced. There’s an old story of a gambler from North Dakota who was ordered to pay a $500 fine after winning roughly $100,000 in online sports betting, but that’s about as bad as it’s ever gotten for customers. Even that story is a one-off event that dates back to 2003. Since then, nobody has ever faced any trouble whatsoever for placing wagers on sports. The current legal situation is why you see all those funny looking domain names for major betting websites (such as .eu, .ag and so on). 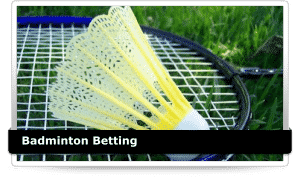 The US government has been known to seize .com domain names of known gambling sites even though those sites are located overseas where online sports betting is legal. Sites that want to stay in business host their domains on non-US URLs over which the government has no jurisdiction. In short, online sports betting occupies a legal grey area in the USA. The law is unfavorable for the industry but millions of people still bet on sports over the internet every year without any trouble. The UK takes a completely different approach to online gambling. Instead of going the way of prohibition, the UK has legalized and regulated the industry. Gambling sites based in the UK or that accept wagers from UK residents are licensed and subject to strict standards of conduct. The UK’s Gambling Commission oversees all forms of betting in the country. This is the entity that issues licenses to betting websites, monitors their advertising and ensures they take the appropriate steps to protect minors and problem gamblers. It’s good to be a punter in the UK because you get to deal with local companies that are subject to strict oversight. If something goes wrong, there’s an authority you can appeal to for help. If you start to feel like you’re getting in over your head, UK-licensed sites are required to honor requests that you be prohibited from depositing. 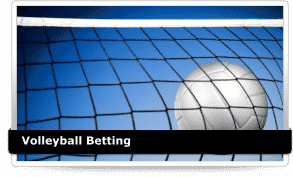 It is safe to bet on sports online as long as you stick with sites that are themselves safe. It is easy for a website to setup and start accepting wagers. This is good for innovation but it does mean you need to exercise some discretion when choosing where to deposit at. Safety is always my primary concern when looking at sports betting websites. I talked about researching each site’s reputation earlier on this page, but some of the other things I like to consider include customer support, speed of withdrawals, player complaints posted in gambling forums and the overall sense we get when placing wagers as customers ourself. Gaming licenses are useful but don’t always tell the whole story. Licenses from major gambling jurisdictions such as the UK hold a great deal of weight because they are backed by functional governments that are serious about regulating the industry. Some licenses don’t hold a lot of weight. For example, a license from Costa Rica means only that the company went down to the licensing office and registered as a “data processing” business. I’d rather see that license than no license, but that alone isn’t enough. I also need to see how that site has operated over the years and what other customers have had to say. We also look at a site’s financial stability. This information isn’t generally released to the public, but you can get a good idea for how a site’s finances are doing by noting how much traffic it gets, how many reviews mention it, and what players have to say about receiving cashouts. Consistency of payouts is just as important. If a once reliable site suddenly has a batch of slow payouts, it’s something to note. It could just be a result of a payment processor closing down and leaving the site in a bid to hurry up and find a replacement. However, it could also mean the site is experiencing financial difficulties. 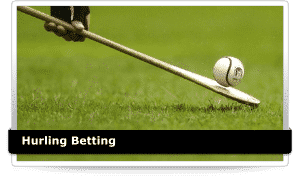 The main thing for you to know is that it’s best to signup at sports betting sites that have positive reputations. 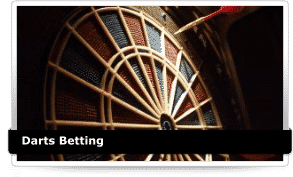 Our top picks (listed near the top of this page) meet all the most important requirements that I have when determining which sites are safe places to wager. There is much to learn to before you can become a successful gambler. The most profitable players will spend a lot of time choosing their picks and looking for value. Identifying value is imperative to making money over the long term. 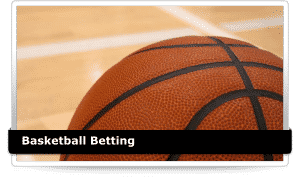 Sometimes there is no “correct” bet to make on a particular sporting event and a savvy sports bettor knows when to keep out of the action. By putting some effort into learning about the industry, it becomes much easier to get a decent return on your money. 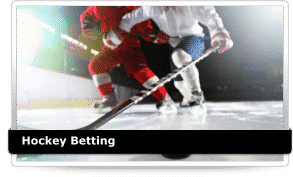 It pays to be diverse – always backing odds on favorites for example is unlikely to pay in the long run as it might only take one or two upset losses to wipe out your profits. Mixing up your bets with a combination of favorites and over-priced underdogs, and placing these options at the right time is a better approach. 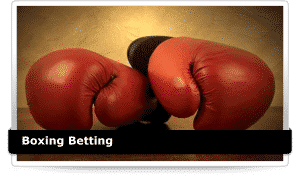 Visit the following pages for a more in-depth discussion of some of the most important concepts in online sports betting. To be serious about winning, you need to manage your bankroll properly. It can be frustrating losing a few times in a row, but increasing your stakes to chase your losses is not the way forward. Stick to your stakes and size your plays according to the confidence you have in a pick – not based on previous results. As you do well and your bankroll grows, then you can consider increasing the size of your units. The general rule of thumb for sports betting is to risk no more than 5% of your bankroll on any single bet. This is a pretty safe way to go because it helps minimize the damage done by bad streaks. No matter how confident you are in any single bet, the 5% rule should be in effect. If you think about it, the 5% rule makes perfect sense. Even the best handicappers are happy to achieve a 55% to 60% win rate. That means you can expect to lose 40% to 45% of you wagers even if you are really good at what you do. At those win-rates, anything can happen in the short term. Over the long term, skilled handicappers can expect to see a general winning trend. But over the short term, everyone sees swings in both directions. By sizing your bets properly, you minimize the chances of going broke due to variance. Even the best sports bettor in the world will lose their bankroll if routinely risking 20% or more of a bankroll on every wager. Keep your wagers small and you’ll be better off over the long term. It may feel slow-going in the early stages, but stick with it. Smart bankroll management is one of the absolute fundamental keys to successful sports betting. 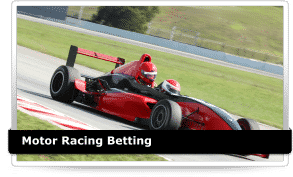 Know your sports bets and wagering types – Information is power. The worldwide coverage afforded to most sports markets these days is a dream for an online puntor. You can watch so many events on TV or on the web and it is easier than ever to get a real insight and understanding of many different sports. The amount of information, statistics and results available on the world wide web is also there to be taken advantage of. Having a diverse understanding of many sports will help you find quality plays over the long haul, and spending some time learning about sports you are not familiar with is time well spent for any aspiring fan.